Interests: Natural Health, fitness, animals, travel. Mum likes ballet, Dad enjoys Brazilian Juijitsu. LOOKING FOR: Looking for local grandies who are open minded, fun and love catching up over cups of tea! 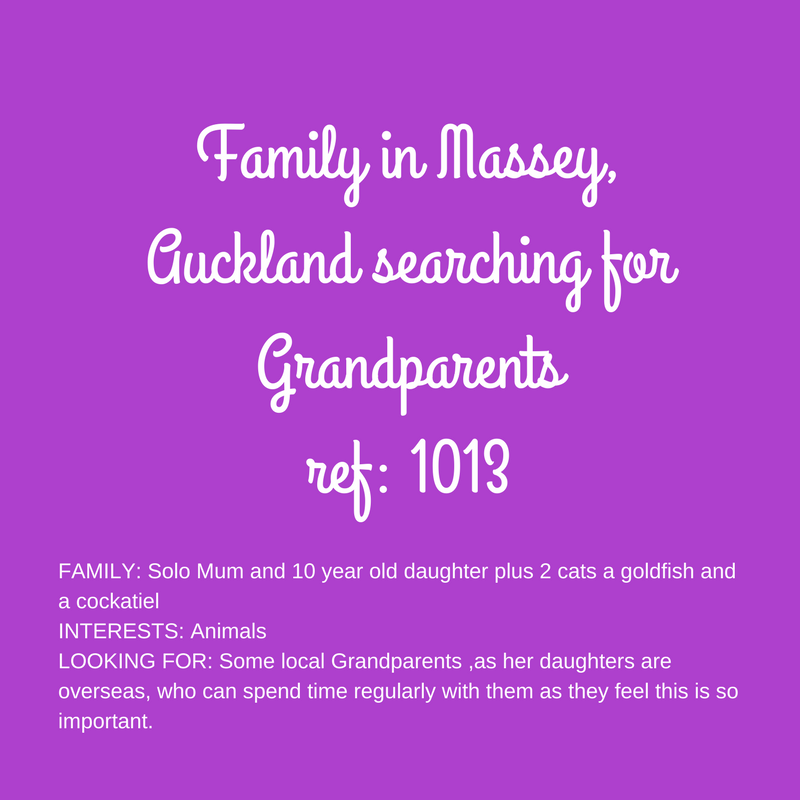 Someone who wants to join a busy family and provide support and connection, especially to mum who doesn’t have her family here. Prefer active, non smoker. Family: Single, Christian “Grandma” living alone with one dog, a cat & a parrot. LOOKING FOR: An animal loving, Christian family with young children who need someone who has lots of time and love to give. 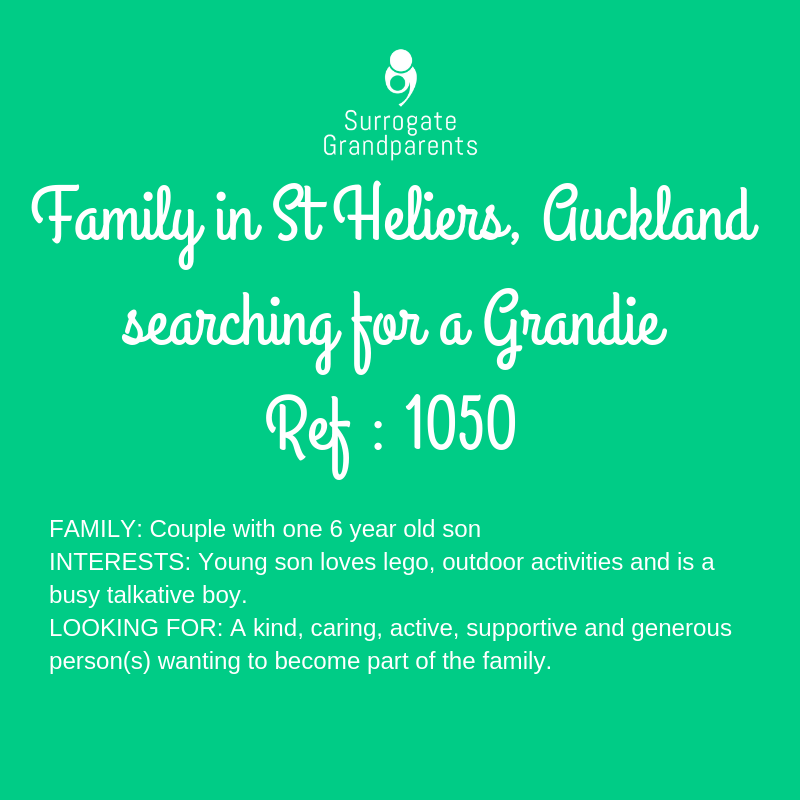 If you would be interested in meeting this "Grandie" to become their "adopted" family - apply today quoting ref 1006!